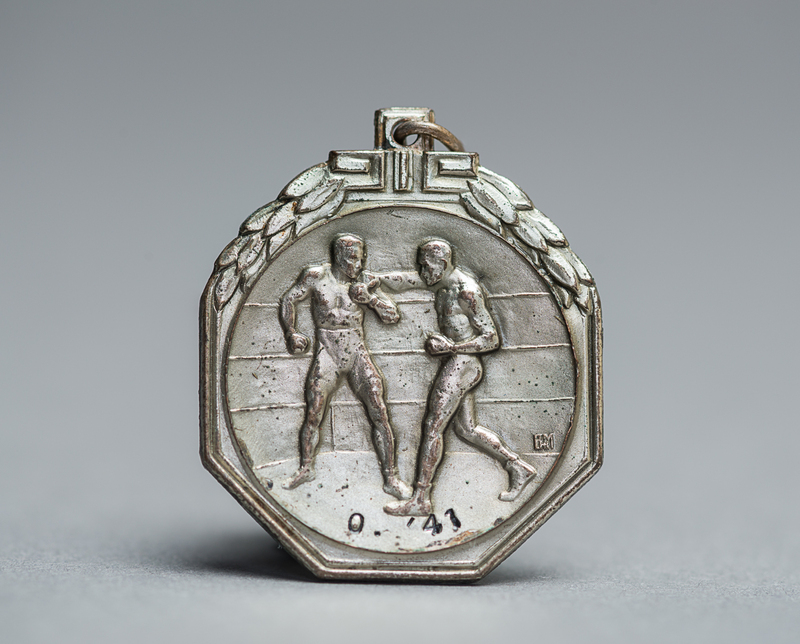 This medal was won by professional boxer David Kropveld in 1941. 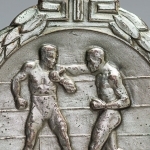 The front side of the silver medal features two men boxing in a ring. 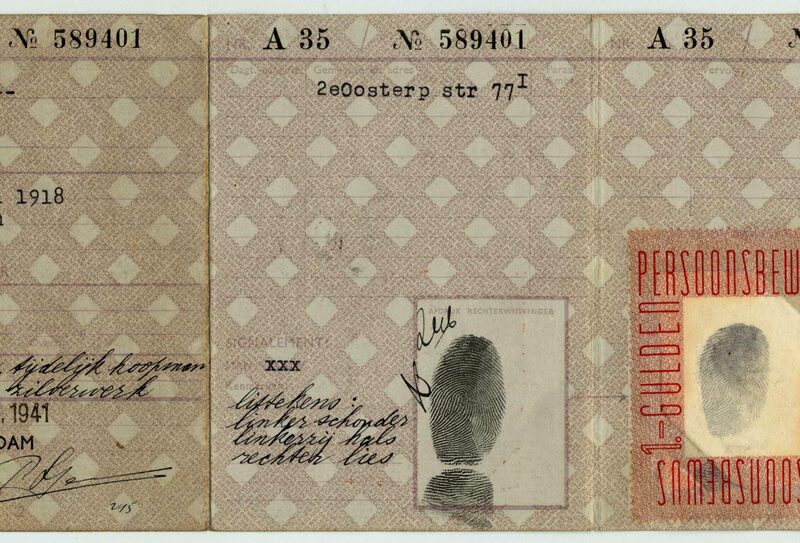 David Kropveld Dutch Identity Card stamped with a “J” for Jew. 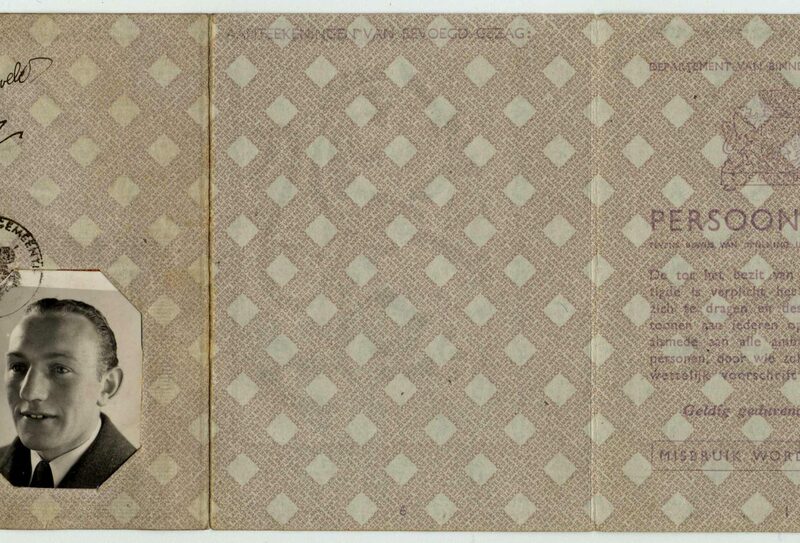 Originally from the Netherlands, David went to Belgium to find his father in 1940. Together they joined the White Brigade, a Belgian resistance group that provided them with false papers. David was arrested in 1942 and sent to Dijon’s prison in unoccupied France. He was liberated but arrested again, along with his father, a few weeks later, by the Gestapo in Brussels. They were deported to the Auschwitz concentration camp where they were selected for forced labour and identified as political prisoners. David and his father were transferred to the Treblinka death camp, where David witnessed his father die at the hands of a German guard. 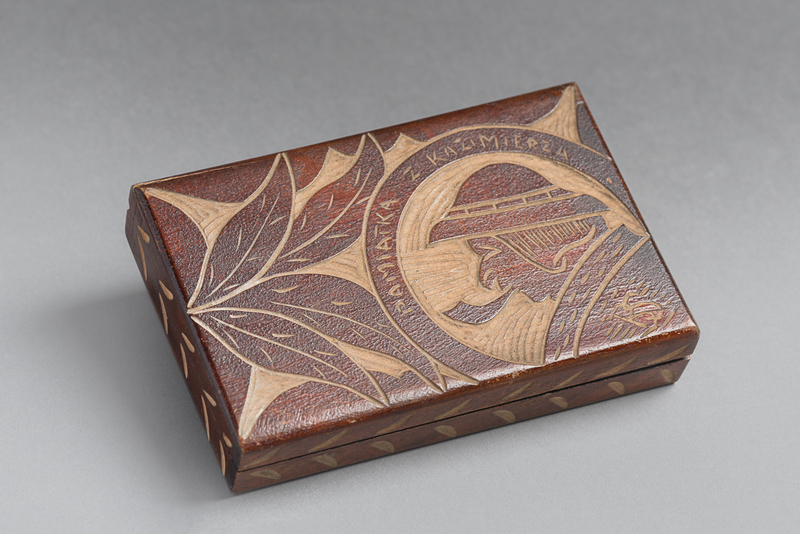 In the fall of 1944, a guard recognised him and allowed him to be taken back to Auschwitz. There, David competed in boxing matches against other prisoners at the Nazis’ command. He managed to escape during a death march. 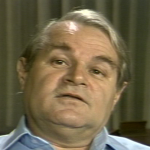 David was the only person in his family who survived the Holocaust. David met his wife in 1945 and immigrated to Cuba, then to Montreal, where he started his career as a butcher. 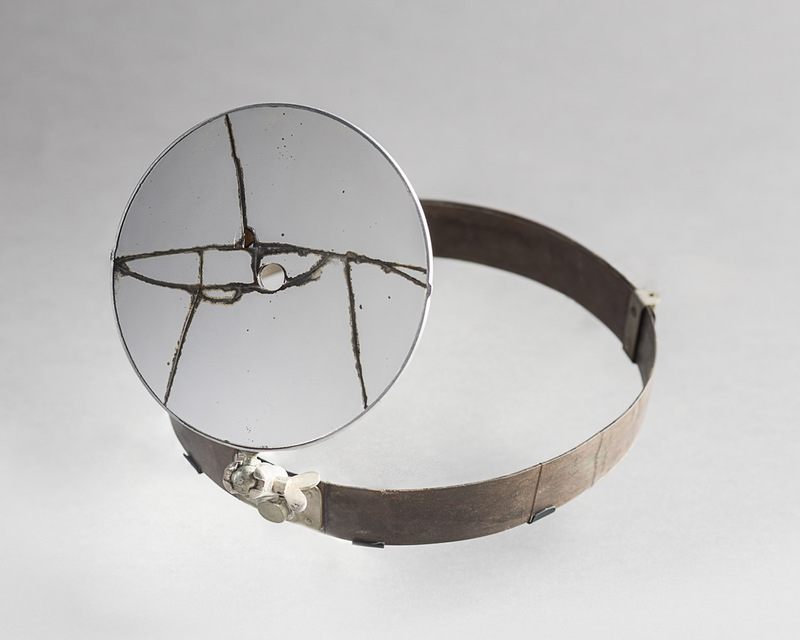 He donated this medal to the Montreal Holocaust Museum when it was created in 1979. Aba Beer describes Jewish life in his native town, Bielsko-Biala before the war. Take part in this pedagogical activity with your class. 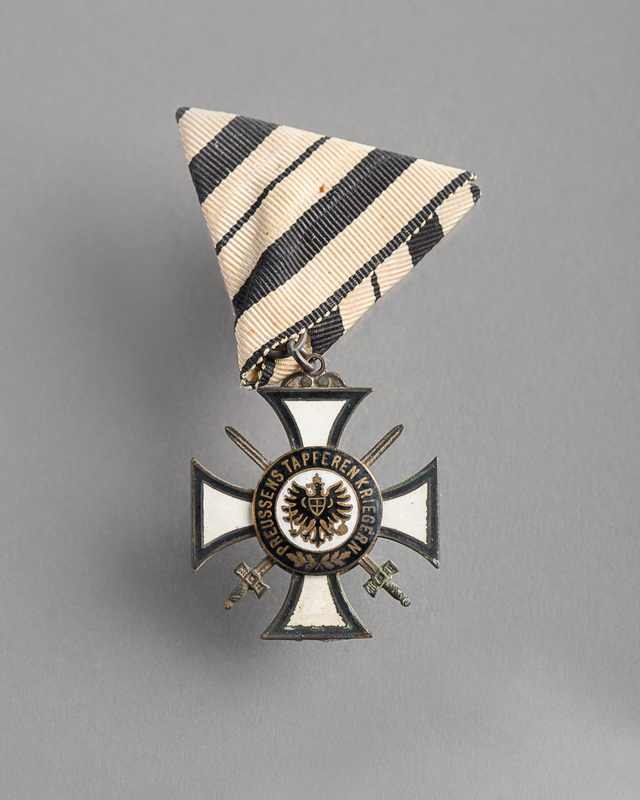 Find David Kropveld’s other medals in our permanent exhibit.